I have been ripping my DVD collection for a while. I am looking for the best high quality DVD ripper there is. I want my .mp4 to be as clear as if I am playing the DVD. If anyone has any ideas of any good quality DVD converter, please let me know. I am using my Dell XPS desktop running iTunes so the file must be iTunes compatible. I have been primarily using Aimersoft DVD Ripper and others. Some DVDs rip very poorly. Any ideas? How to copy DVD in high quality? Ha, it is as easy as rolling off a log! If you are hoping to back up all your movies on DVD with 100% original high quality, all you need is just a right high quality DVD ripper. Look no further, the following programr is the swiss knife of DVD copy software. The highest resolution of a DVD is 720×480, if the resolution is decreased during the ripping process, the output image can be terrible. 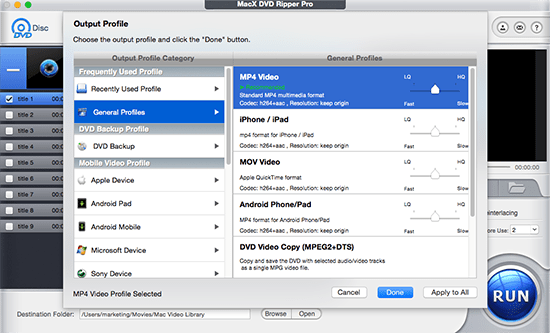 Luckily, MacX DVD Ripper Pro is the HQ DVD ripper software that gives us the possibility to 1:1 copy DVDs, including copy protected DVDs. The "1:1 copy" means the highest DVD copy software outputs original video audio quality with zero quality loss! "High Quality Engine" applied to macOS app ensures the "original output". Another amazing feature of the program is it copies DVD in high quality with 36× faster speed thanks to Hyper Threading technology adopted by the best HD DVD ripper. Most of your DVDs are encrypted? The high quality DVD decrypter can automatically bypass DVD protection, be it Region Code(1-6), CSS, Disney DRM, UOPs, Sony ArccOS, RCE, etc. and rips protected new movies on DVD to MKV, MP4, AVI, MOV, etc. with the highest video audio quality. Follow the guide below to learn how to make a high quality DVD digital copy. 1Free download the high quality DVD converter for Mac and run it on iMac 4K/5K, MacBook Pro etc. or free download Windows version. Insert DVD to computer drive. Click "DVD Disc" icon to import the disc. 2Choose output format. To convert DVD to high quality MP4 AVI MKV MOV etc. digital video format, choose the specific video format. And there are category specially designed for mobile devices, allowing you to copy DVD in high quality directly to iPhone 6S/6 Plus, iPad Pro/Mini 4, iOS Android mobile devices. 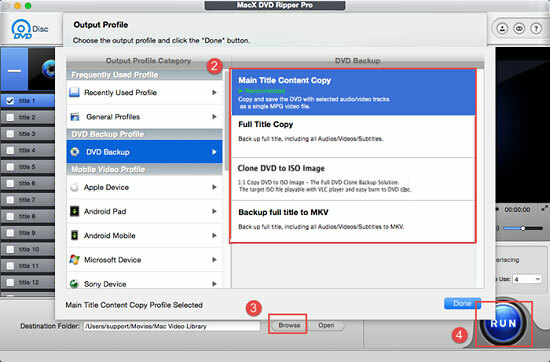 3Click "Browse" to choose a folder to save output DVD video file. 4Click "RUN" to start to make a high quality DVD conversion to digital video format. You can also rip DVD to MP3 audio with good audio quality. 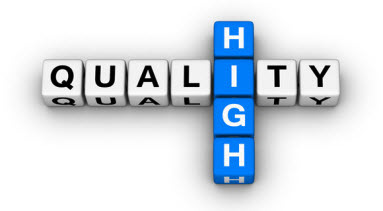 Tips: The good quality DVD ripper software also allows users to adjust parameters to improve output quality. 1. In the output profile area, you can drag LQ (lower quality) to HD (higher quality). 2. Tick "High Quality Engine" above the "RUN" button. 3. Resolution is adjustable on the setting part. You can also adjust bit rate, frame rate, aspect ratio, audio codec, audio channel, etc. The all-in-one high quality DVD copy software lets you compress DVD file by trimming and cropping with ZERO quality loss as well. What about customizing your DVD by adding SRT subtitles? 1Free download the best high quality DVD ripper, and run it on you computer. Click "DVD Disc" button to load the disc you insert. 2Head to DVD Backup > Clone DVD to ISO Image. You can get the best quality from DVD to ISO image conversion. 3Click "Browse" button to choose a folder to save the output file. Make sure that there's enough space for the DVD file. 4Hit "RUN" button to start copyig DVD in high definition. And burn the ISO image to black DVD using third party help iDVD. You may want to move the high-quality output DVD movies to watch on the crisp displays of mobiles. In this case, you can switch from iTunes to third-party tool if you want to have a swift DVD to mobile transfer experience. Here we recommend you MacX MediaTrans, which will ensure a superfast HD video transfering process from computer to iPhone iPad and vice versa in just one click. Notice: We only offer the best DVD ripper that will generate the highest output quality and do not encourage any illegal reproduction or distribution of copyrighted content. You are supposed to rip DVDs under the concept of Fair Use and abide by the local DVD copyright law.